Everyone makes mistakes and fails at certain points in life; that’s simply unavoidable. 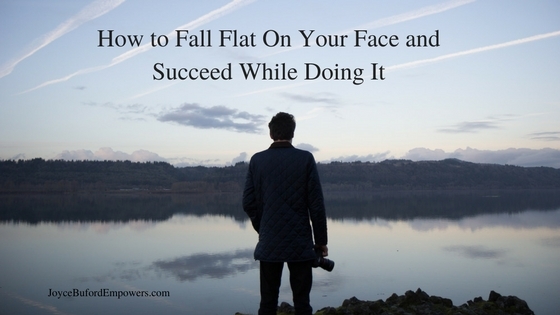 It’s the steps you take after you fall flat on your face that matter, and they’ll make all the difference between your future successes or failures. You might not realize how important attitude is in life. A positive attitude gives you an extra drive. If you fall on your face, you simply brush yourself off and come back even stronger with more determination. You realize that all is not said and done, and you’re going to take this situation and turn it into success no matter what. A negative attitude has a lesson to teach you as well. You can say to yourself that it’s not meant to be or that you simply don’t have the ability or talent to succeed. It’s certainly a valid coping mechanism for dealing with failure, but it’s never going to lead you to success. If you want to succeed, you must adopt a positive attitude. Every mistake you make has a lesson to teach you. Whether or not you’re willing to analyze and listen is a different story. You might be unhappy with what happened, but it’s possible that you’d never have learned an important life lesson without that particular failure. You must remain open to learning from your mistakes. Not only can it lead you to future success, but it also can stop you from making the same mistake twice. When you’ve fallen flat on your face, it’s usually shocking and sudden. But since you now have a positive attitude, you can use that to help you figure out why it happened. Once you discover why, you can make changes that will lead you to success. It can be embarrassing when you fail, especially when other people know about it. Avoid letting it slow you down. Bring out your “that’s just a part of life” attitude and keep on going. When you fall, you simply need to stand back up. Sometimes certain things in life come down to simple trial and error. It’s not always the most time-efficient method of figuring something out, but sometimes you have no other choice. Trial and error means that you might end up failing many times before you reach success. Once you have success though, it makes your journey worth it. Some people are lucky and they don’t run into as many “errors” as other people because everyone has their unique path. Always remember that failure is never truly a failure if you’re still trying. A failure is only a true failure if you’ve given up. There are times when you may feel like giving up, because it’s natural to feel that way. Ask anyone who has reached success if they ever felt like giving up. They’ll likely tell you that they encountered problems several times on their road to success. They’ll also tell you that, despite their feelings, they never gave into them. Successful people are those who just don’t give up. They don’t take no for an answer no matter what. They have persistence and perseverance. There’s no reason why you can’t be one of these people. I’d love to have you join me for my upcoming Vision Board Workshop on Saturday, January 21. Check out the details here.